As a Christian based company, we firmly believe that it is our Christian duty to be of service to those in need. That is why we find it so rewarding to be able to donate a portion of our profits each year to ministries and charities that are in need of financial assistance. In these turbulent economic times we know that it is critical that these ministries and charities remain open so that they may continue to serve and minister to men, women, children, and families in crisis situations. We have always believed that it is better to give than to receive and the testimonials that we have received back from these charities and ministries is proof of that fact. The services that they provide to their surrounding communities are so important and we are very proud to be able to assist them in continuing their efforts. 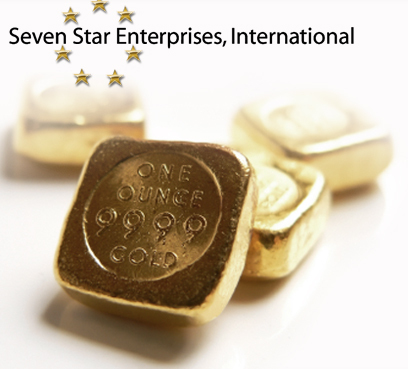 When you make an investment with Seven Star Enterprises, International you are not only making a sound financial decision and investment for yourself, you are also making an investment in supporting these very important charities and ministries as well. We hope that you will continue to be blessed in your life and thank you for helping us be a part of blessing the lives of those that are less fortunate and in crisis situations. By working together, we are making a difference in the lives of these men, women, children, and families. We hope you enjoy reading these testimonials and truly thank you for making an investment with us and for supporting these very important charities and ministries in the process. A SACRIFICE OF THANKSGIVING TO THE LORD. We are dedicating the entire month of November as Thanksgiving, to make sure that we feed EVERY hungry child that we possibly can. Not only this month, but EVERY month.